I had a more rounded, 3D polymer clay goddess bead that I’d made some years ago. The bead has a juicy, plump front and a flat back, which makes it perfect for molding … which is why I designed it that way. I wanted to make a mold of it so I took out my old Amazing Mold Putty, took a deep breath, and went through the steps to mold my bead. It worked! All the definition is there…all the details. I can’t tell, so far, that I used older mold putty. So how did I store my mold putty? In a cool, dark basement. We used a dehumidifier before we got a central air unit that controls humidity. We still use the dehumidifier on wet rainy days as water seeps into the basement (it’s a very old house). We’ve kept the house 68 to 74 degrees F most of the time. I’ll have to compare the mold I just made to one made with recently purchased Amazing Mold Putty. There’s a good comparison of Amazing Mold Putty and EasyMold here (which also mentions that some substances like sulfur, tin, and stearate can interfere with the mold compounds setting). That interests me because both are available locally. So far, I’ve chosen to use Amazing Mold Putty because it’s more flexible and allows me to pop my polymer clay beads out of the mold with extreme ease. I am, however, curious about EasyMold. 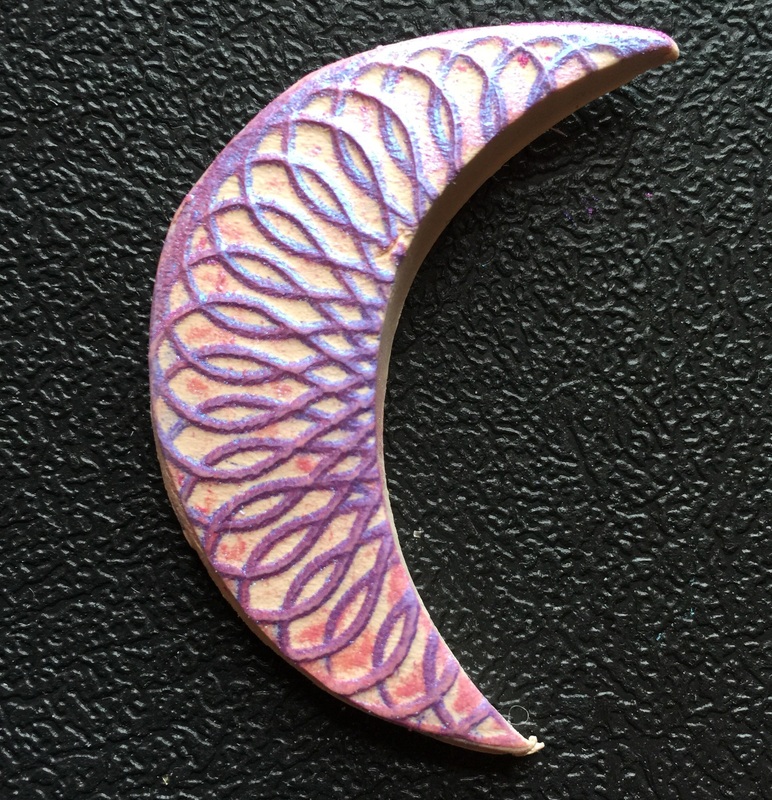 It’s a bit more rigid so I’d like to try it with the creation of texture plates — I’d sculpt and carve polymer clay, then use EasyMold to create a texture sheet of it. And since new mold putty sticks to old mold putty, could I use a combination mold with Amazing Mold Putty for the more dimensional parts and EasyMold for the thinner, less dimensional portions? Hmmm…. I will have to check into that some day soon!